Davis had eight total tackles (five solo) in Sunday's divisional-round playoff win over the Eagles. 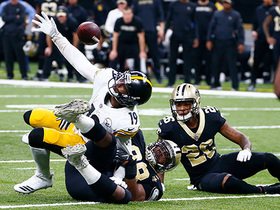 Analysis: Davis, who finished the regular season with a team-high 110 total tackles in all 16 games, was a key contributor to a Saints defense that held the Eagles offense scoreless over the final three quarters. Tying a career high with five sacks this season, Davis has proven to be worth every penny of the three-year, $24 million contract he signed with the Saints last offseason. Davis tallied three tackles, one sack and one fumble recovery during Sunday's victory over the Steelers. Davis had eight tackles (four solo) and a sack in Monday's 12-9 win over the Panthers. 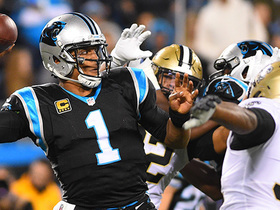 Analysis: Davis also added two pass breakups as the Saints were able to stifle the Panthers offense throughout the evening. The 29-year-old leads the team with 103 tackles (70 solo), and also has four sacks and two forced fumbles through 14 games. Davis notched eight tackles (seven solo) in Sunday's win against the Buccaneers. Analysis: Davis again led the Saints in tackles, and with 95 total tackles this season, he remains an excellent option in most IDP leagues. Davis had 11 tackles (five solo) in Thursday's 13-10 loss to the Cowboys. Analysis: It's the second time this season Davis has reached double-digit tackles, and he tied his season high Thursday. The 29-year-old has 87 tackles (59 solo) and two forced fumbles through 12 games, and he's recorded less than five tackles in only one game thus far. 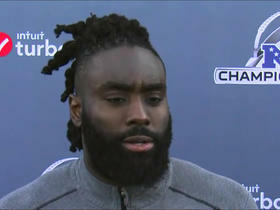 Davis recorded six tackles (five solo), one sack and one fumble recovery during Thursday's 31-17 win over the Falcons. 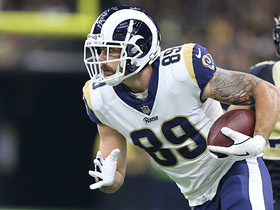 Analysis: Davis played a key role in holding Atlanta's offense to only 17 points Thanksgiving Day, and he made his presence known during all phases of the game. The veteran should remain a reliable IDP option against the Cowboys in Week 13. Davis made three tackles (all solo), including two tackles for losses, in Sunday's win against the Eagles. Analysis: It was a quiet week for Davis, as the Eagles ran only 51 offensive plays and the Saints let some of their reserves get in on the action in a blowout victory. Davis, the team's leading tackler, should remain a quality IDP option in the upcoming Thanksgiving Day tilt against the Falcons. Davis made five tackles (three solo) in Sunday's win against the Bengals. Analysis: Another week, another solid stat line for the Saints' starting middle linebacker. While Davis has not produced eye-popping numbers in his first year in New Orleans, he continues to be a dependable source of tackles for IDP owners. Davis made seven tackles (five solo) in Sunday's win against the Rams. Analysis: Davis again led the Saints in tackles, and as the starting middle linebacker in New Orleans, he should continue to be an excellent source of stops in most IDP leagues. 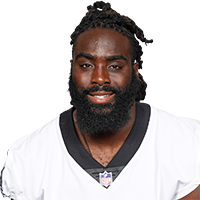 New Orleans Saints linebacker Demario Davis speaks about the Los Angeles Rams' running game, dealing with media during the week and how the defense is dealing with the loss of Sheldon Rankins. 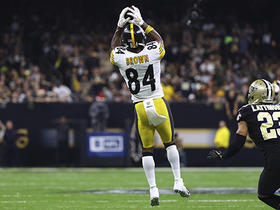 Pittsburgh Steelers quarterback Ben Roethlisberger finds his wide receiver Antonio Brown for 16 yards on third down. 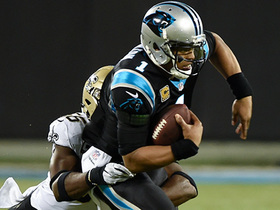 New Orleans Saints linebacker Demario Davis sacks Carolina Panthers quarterback Cam Newton. 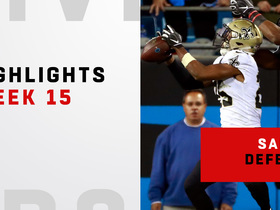 New Orleans Saints cornerback P.J. 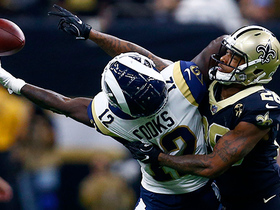 Williams breaks up a pass intended for Los Angeles Rams wide receiver Brandin Cooks. 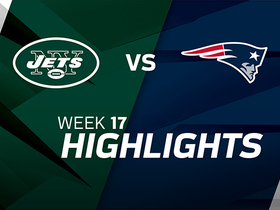 New England Patriots wide reciever Dion Lewis pushes into Jets' red zone with 9-yard gain.